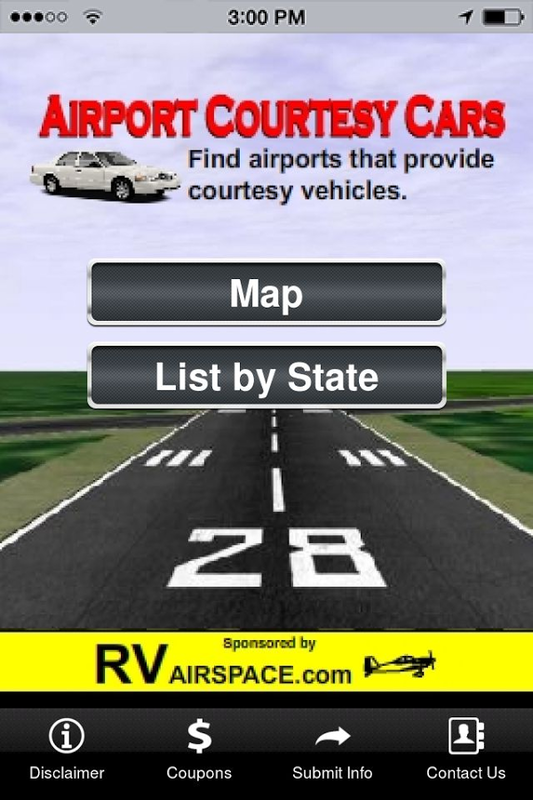 "Airport Courtesy Cars" is a recently released phone app that lists airports that have crew cars and courtesy transportation nationwide. Currently it lists over 1100 locations, with new locations added daily. Listings are in a state by state format and on a Google map. Phone numbers are shown for the businesses that can be dialed directly from the app. Please note at the present time this is a phone app only, so if you search for it on your tablet it will not show. You can load it on an iPad by searching for iPhone apps from your iPad. Contact the developer directly from the app, or email him at airportcars101@gmail.com for more information. So now when are you going flying with us. Also available through the Google Android Play store.